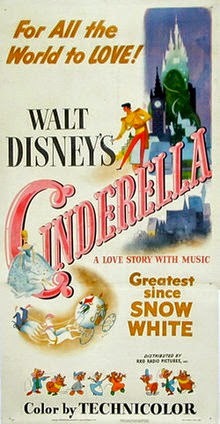 I have no doubt that Cinderella is a great achievement, and has a large reach across popular culture. However the film itself doesn't really work for me, as with other "classic" princess films, predominantly because I find Cinderella herself so uninspiring. Still a very good film though. Cruella de Vil is on the shortlist for the greatest villain within all of these films. And to a (too) large degree she overshadows everything else going on in the film. Consensus for this on Rotten Tomatoes is "A decent take on the legend of King Arthur, The Sword in the Stone suffers from relatively indifferent animation, but its characters are still memorable and appealing. " I can't disagree with any of that. Prince Naveen (initially) is very much the anti-Prince Charming, and Tiana is much more engaging than Cinderella, yet there's only a couple of places difference between the two films. Ultimately the ending didn't quite work for me. Having said that, it wouldn't take much to convince me to bump it up several positions. Fantastic animation, with some very dark (for Disney) imagery. Another film where I suspect I have a higher regard than most do. "I'm just not sure how well this plan was thought through..." alone places it over many of the films below. 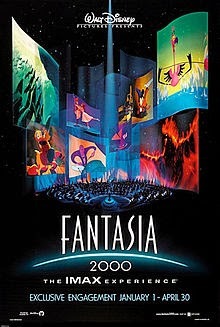 A worthy successor to the original Fantasia, in some respects hampered by the inclusion of The Sorcerer's Apprentice, as it just served to remind me that this is not the original. The inclusion of Jiminy Cricket is a welcome one. The live action segments are a bit meh, but paid off nicely enough. Bongo is okay in its own right, but Mickey and the Beanstalk is up there as one of the best shorts within the package films. I avoided seeing this for ages due to the period it was released in, and generally not being a fan of David Spade. However I was pleasantly surprised (on both counts). 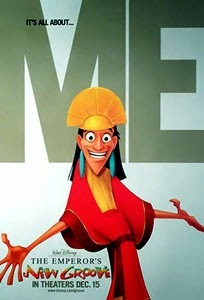 Add in the fact that Patrick Warburton's voice work as Kronk is worth watching this film for in and of itself. A huge step up from many of those released around the same time. I still smirk thinking of Owl's wonderful speech to inspire Piglet to go through "Through a dark wood fraught with peril, on a mission of life or death." The pink elephant scene always freaked me out as a child. 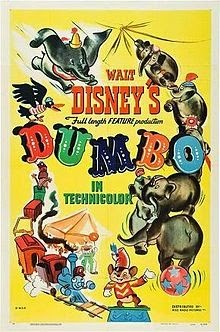 As did the scene's of Dumbo's mother freaking out. I've vacillated quite a bit on the placement of this (and the upcoming Littler Mermaid), and if I were to compile this list next week, the posititioning would likely differ significantly. Maybe it's too soon? The Baymax character could easily have fallen flat, but instead it soars, where the viewer can feel its compassion and desire to heal. The expected origin story montage was particularly well done, playing off the character introductions in the beginning of the film. Bonus point for the post-credits sequence with Stan Lee. Coming off the back of Hercules, Mulan was a huge improvement. 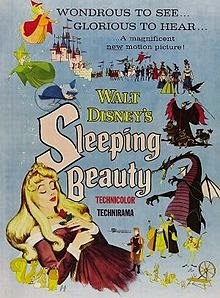 The songs aren't as strong as those from the early 90s films (which says more about the strength of the songs from Beauty and the Beast, Aladdin and Lion King than it does about Mulan), however I was drawn in to the story, with Mulan making use of her strengths to succeed (and not to find love, but to protect her father). On watching, I wanted to shout at Ariel "yes you are" when she argues that she's not a child (she's fallen in love at first sight with Eric because he treats his dog well and she find him cute? Honestly). 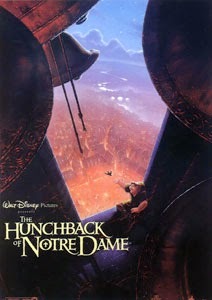 This is one film where the traditional inclusion of sidekicks (the gargoyles) feels really out of place, almost making what is a dark story too cutesy, while at the same time containing bleak scenes (such as Frollo's death). At the end of the day, I do rate it quite highly, but with a few changes, it could be in the upper echelon. 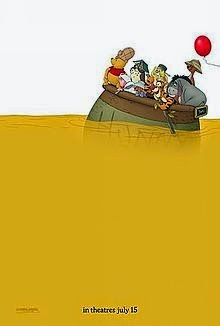 Finally - Stirling Holloway as Winnie the Pooh. 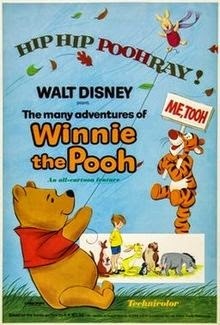 The moment where Piglet described the house Eeyore has found for Owl as the best house in the world always gets to me. 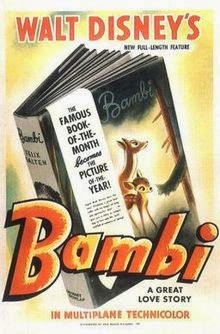 I'd likely rate this higher if I had seen (or remembered seeing) Bambi as a child. There are some great moments in the film, and even knowing it was coming, the death of Bambi's mother is traumatic. Pretty much any film from here on in I've had placed in the top ten at one stage or another. I'm not entirely sold on the Aladdin-Jasmine relationship, and the means of defeating Jafar is awfully convenient. But really, this is nitpicking - I should be heaping praise on the songs, the animation, and most significantly Robin Williams' voice work. With one of those memes going around last year (Disney: Hunger Games), a friend of mine suggested Snow White and The Prince would win as "Snow White is one tough lady". No… good at cooking/cleaning, but not a great heroine in the same sense that Mulan or Bella are. 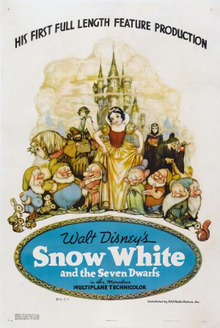 The dwarves (particularly Grumpy) are the real heroes of this film, with so much emotion and individuality captured amongst them, you feel their anguish, more than Snow White's peril. That said, it doesn't stop this being a great film On rewatching it, I'd forgotten how violent the Queen's end is. 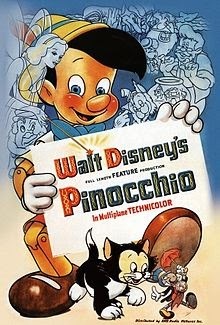 Also, in case anyone cares, it was not the first animated feature film (that would be the lost Argentinian film, The Apostle) (why, yes, I am still bitter about a number of trivia nights on this point). For someone with a bit of a gaming habit, there's so much to love here. In particular, confusing the rest of the audience that I saw it with by laughing at the Konami Code as the key for entry in to the Sugar Racer code. 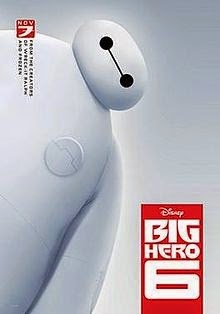 As with Big Hero 6, this feels more like a Pixar film than a Disney one. 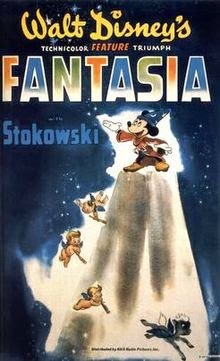 In some ways, this doesn't fit in with the rest of the Disney canon (as shown in the wonderful poster art). Quirky, funny, brilliant. I've developed something of a disdain for Circle of Life, due to a remix of it being played ad nauseum on a recent holiday. 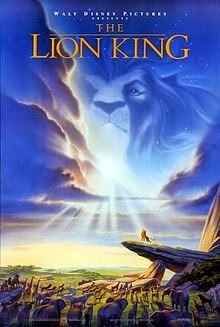 That aside, the Lion King is magic. Also inspired one of my favourite Simpsons moments - Bleeding Gums Murphy in the clouds. 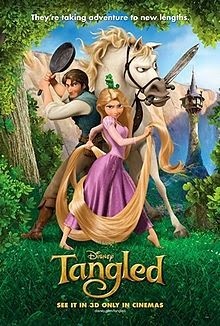 In a year with Toy Story 3 and How to Train Your Dragon, Tangled was always likely to be squeezed out come awards time. In hindsight, this film may end up somewhat serving as the starting point for a second renaissance. 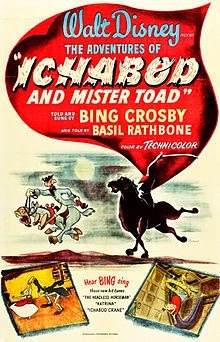 As with some of the other upper tier films, there are great songs (I've got a Dream), sidekicks that serve a purpose without getting in the way, and as with the other modern princess films, a heroine that you can admire. Maximus is where its at though. Love is foregoing the last bit of garlic bread, slice of pizza or, in this case, meatball. 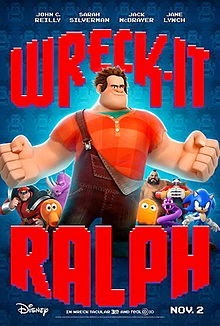 If AMPAS hadn't changed the way best picture is determined, I can see that this would have been the fourth animated film to crack the Best Picture category at the Oscars (wishful thinking on my part perhaps... I'd certainly have gone with it over Captain Philips or Philomena (both films I liked)). I can see that ten years from now, "Let it Go" will be thought of like "My heart will go on", and no one will recall liking it. That would be an unfair legacy. "Let it go" (and much of the music within Frozen) works beautifully. Bonus points for Elsa telling Anna what we've all thought around the various Princesses marrying the first guy they meet. 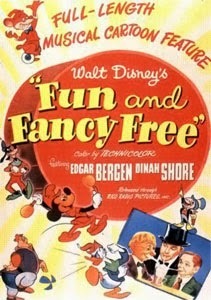 I first watched this as part of a Disney binge on a recent international flight. Not ideal conditions - but I was awed. Not just the beautiful animation, there's a villain who stands out without overshadowing, a Prince who is more than just a means to a better life, and comic relief that didn't make me cringe. 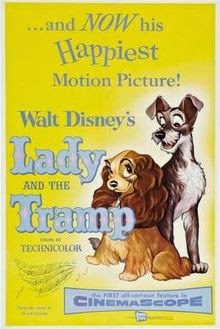 By far the best of the classic "Princess" films, and a classic in its own right. 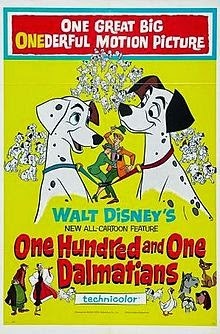 Ranked as the greatest animated film of all time by Time Out. 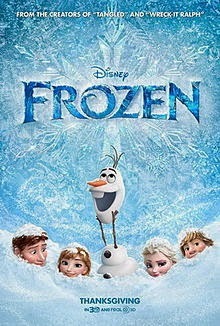 I don't quite agree, but this is a superb film, with great animation, memorable songs, and classic characters. 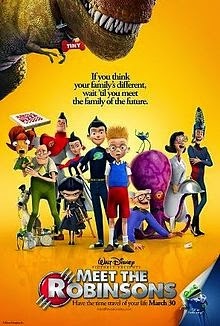 Not just Disney's best, but one of the greatest animated films ever made (my shortlist includes The Incredibles, Spirited Away, Grave of the Fireflies and The Wrong Trousers). Fantastic animation, memorable songs, and a heroine that actually has some sense. That she falls for Beast, not because he is so dreamy (as does Ariel, Anna, Cinderella...) but from time spent together, learning from each other, and getting to know each other makes it a more plausible long term relationship. Gaston is also unlike most Disney villains that have come before him (and in many ways, has a lot in common with some of the Disney Princes). For a guy who packs a tight suitcase this list reveals a great deal of what is important to you, how you identify yourself in the world and how you treat others. This is the list made by a good man with a good heart. The list is incredibly comprehensive and sports loads of films I'm yet to see but for my money I feel Mulan has aged very well. 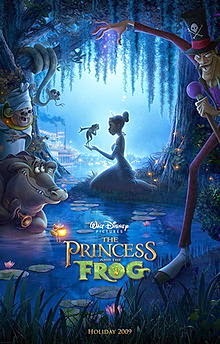 The animation is beautiful, it uses Eddie Murphy as a sidekick long before Shrek met Donkey and as you pointed out sports a strong female character who is protecting her father not trying to snag a prince. 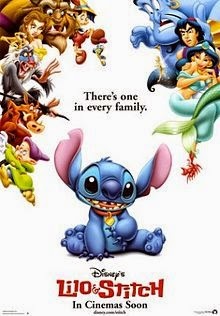 Lilo & Stitch seems like one of those films I'm not going to think about until you bring it to my attention much for my betterment. 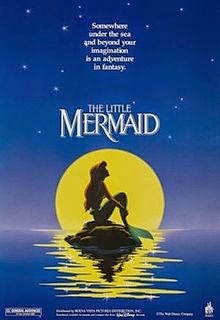 Little Mermaid is dating terribly in terms of gender relationships but it cannot be stated enough how this gave re-birth to the whole Disney animated family film event that had died off with Walt. 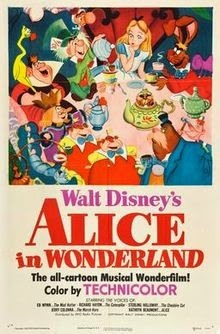 Disney was a dated irrelevant brand when this movie came out. 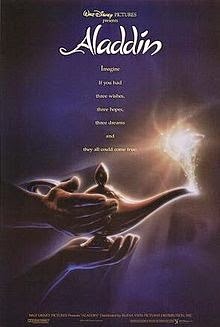 What it is today starts here with a film that calls back to their glory days but started it for a whole new generation. Under the Sea is still a classic. 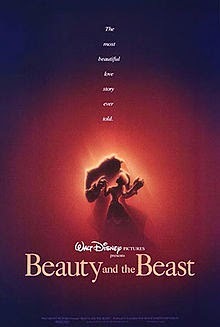 Of course to follow it with Beauty and the Beast, Aladdin and The Lion King sealed the deal. What's fascinating about the list is how it showcases the changing fortunes of Disney and the changes to animation throughout the eras. So many films here I have to see now thanks to you and your insights.